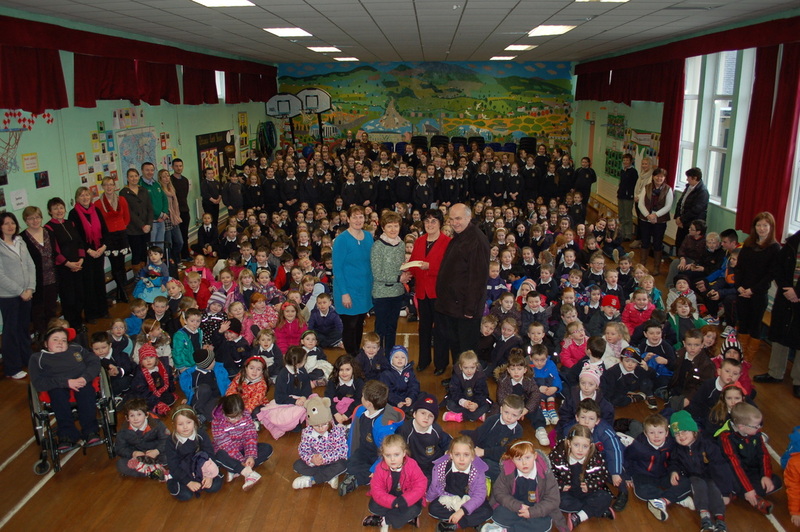 The pupils of Bunscoil na Toirbhirte recently held a very successful fundraiser for COPE. Non-uniform/Mad hair day, which took place on the 8th February, raised €815. This money will provide a gazebo and some furniture for the planned Sensory Garden at COPE. 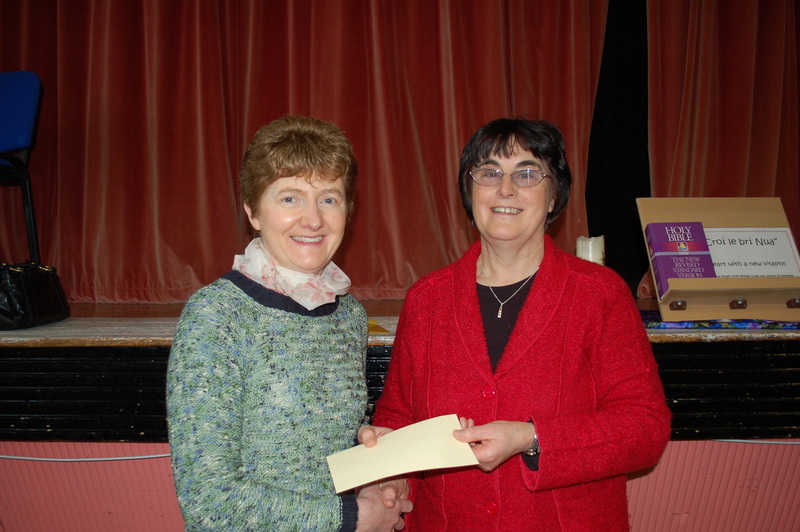 In the photograph, Ms. Margaret Mary Coughlan, Fundraiser co-ordinator , is presenting Ms. Mary Barrett, COPE, with the proceeds.